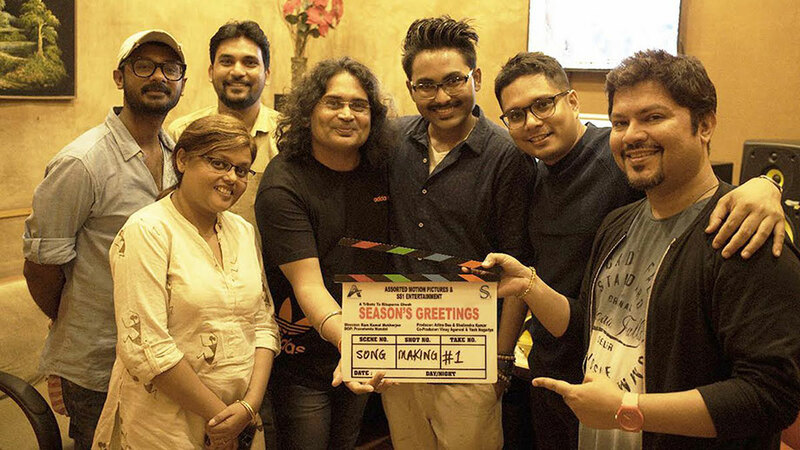 The 24 year old singer makes his Bollywood debut in Ram Kamal Mukherjee’s film – A Tribute To Rituparno Ghosh: Season’s Greetings. 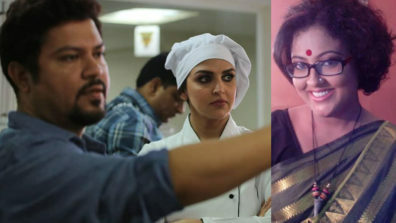 Author turned director Ram Kamal Mukherjee will launch playback singer Jaan Kumar Sanu, son of veteran singer Kumar Sanu in his second directorial venture A Tribute to Rituparno Ghosh: Season’s Greetings (ATTRGSG). Produced by Aritra Das and Shailendra Kumar the film stars Paoli Dam, Lillette Dubey and debutant actor Azhar Khan. 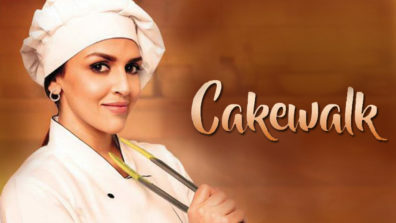 The film will be shot in November in Kolkata. 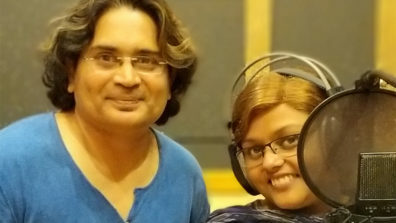 Recently music composer duo Shailendra Sayanti recorded the title track of ATTRGSG at Trinity Studios in Mumbai. “This song which was originally written and composed by Rabindranath Tagore, we are recreating the magic of his melody,” says music director duo Shailendra Sayanti. The song is based in Bhishnupur gharana’s raag ‘Behaag’. The only difference in this composition is that “Komal Nishaad” is used while descending. Jaan started his career with Kumar Sanu’s cover “Dil mera churaya kyon” from Aamir Khan’s Akele Hum Akele Tum. Before venturing into Hindi songs, he recorded his first single in Bengali, “Chiro dini tumi je amar” as a tribute to Kishore Kumar. Trained under the tutelage of Rinku Dasgupta and noted vocalist Pandit Rattan Mohan Sharma, Jaan has his command over Hindustani classical music along with Western vocals. 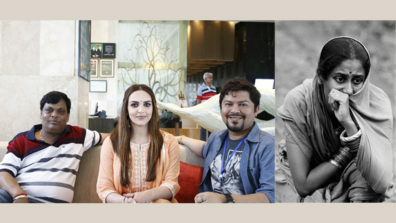 “More than me, I think my Ma was excited that I am making my Bollywood debut with a Tagore composition. The language was completely new for me. 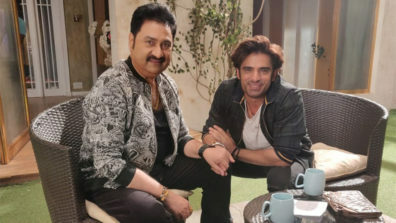 When Ram Kamal sir approached me, I was a bit surprised because not too many people know that I have trained in Hindustani classical,” says Jaan Kumar Sanu. 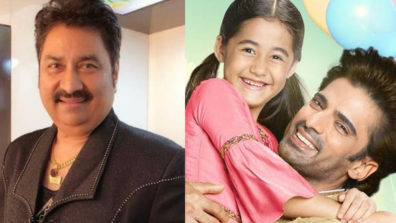 As a child singer he rendered melodious tracks for jingles under the supervision of music directors like Shantanu Moitra and Shankar Ehsaan Loy. 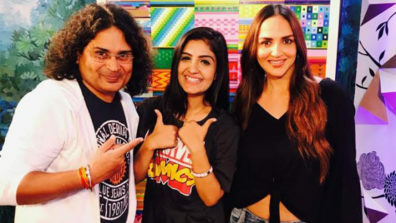 Jaan was one of the chorus singers in Aamir Khan’s directorial debut Taare Zameen Pe (“Bum bum bole”). “Dada (Shailendra & Sayanti) composed the track beautifully with flute, table, guitar and mridangam. Rarely do we find such Indian feel in contemporary music. My only apprehension was the language, which became a cakewalk when Sarbani Mukherjee worked as my diction tutor during the recording,” says a visibly excited Jaan. Produced under the banner of Assorted Motion Pictures and SS1 Entertainments, the film deals with mother and daughter relationship. 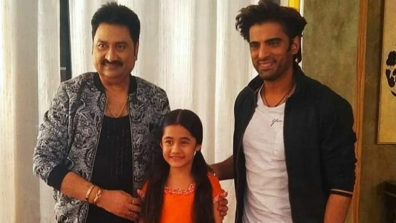 The track Kunjvan is based on Bhanusingher Padabali. Tagore composed this track in Maithili (Braj) language when he was 16 years old. It was first published in Bharati magazine in 1884. Rituparno Ghosh was inspired by Tagore’s literature, art, ideology and music. “In fact Ritu da tried to revive the language in films like Raincoat and Memories of March. Tracks like Sakhi Re and Mathura Nagarpati reminds us the flavour of Tagore’s love for the language. As a part of tribute to Ritu da, this song will be used in a crucial scene in the film,” informs director Ram Kamal Mukherjee.